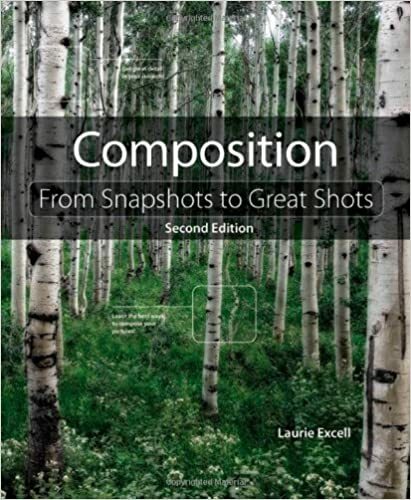 In this third part of the series on composition we continue exploring the compositional elements of nature photography and how they work together to form a complete photograph. Often in photography, the subject or scene will suggest a vertical or horizontal format. Take EJ Peiker's image of Pyramid Lake below for example. 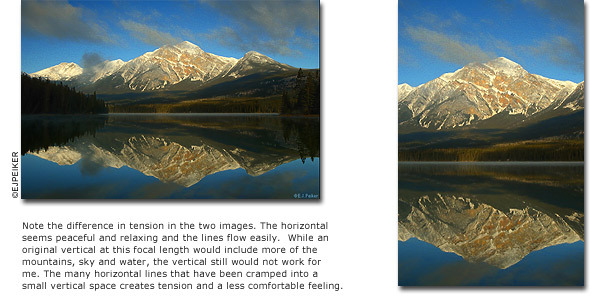 Considering the many layers of lines in the image, and the length of the mountains in the background, a horizontal composition was a natural choice for this scene. Sweeping horizontal lines often lend a feeling of comfort and ease to an image and EJ has done a beautiful job of making a calming, restful yet striking image. The image could have been composed vertically, but the sheer number of horizontal lines contained within such a small vertical space, and the significant crop the mountain would endure, would create a good deal of tension in the image, resulting in the exact opposite effect as the peaceful and relaxing horizontal image. Many pros suggest that if you shoot for editorial purposes, you would be wise to get into the habit of shooting both vertical and horizontal versions of a scene, so you can offer more than one option to an editor. This is excellent advice for all photographers. There have been several times when I have found that I have changed my preference for a vertical or horizontal format for a particular image. Foreground: Objects in the foreground are closest to the bottom edge of the photograph. In many specialties of nature photography the foreground is a popular place to situate objects that are complimentary to and support the main subject. The foreground is also a place where skilled photographers situate objects or lines which will lead the eye into the photograph. Middleground: The middleground is the space between your foreground and background. In wildlife photography, the middleground is usually where the main subject is placed. When using long lenses with wide apertures, objects on this plane will be in sharp focus while the foreground and backgrounds are softly blurred. This is often desirable in wildlife photography because our subjects appear isolated and our focus is forced onto the subject. Background: The importance of the background is dependent on the scene. While in many landscape photographs the background is part of the subject itself, some close-up and wildlife images rely heavily on uncluttered, undeterminable backgrounds for their success. Many bird photographers strive to photograph birds against backgrounds of pure color and little texture. This can create a dramatic three-dimensional effect and really make the subject pop out of the picture. Many wildlife photographers place too strong an emphasis on the neatness of a background. I prefer backgrounds with mostly color and a little texture to give it some character. In general, however, I feel that if a background supports and compliments the main subject, is visually pleasing, and works well with the composition, then it has done its job and I can address the next part of the photograph. The Rule-of-Thirds: Evenly dividing your photograph into three rows and three columns creates the Rule-of-Thirds grid. There will be four points at which the lines intersect and these intersections arecalled power points, or points of power. 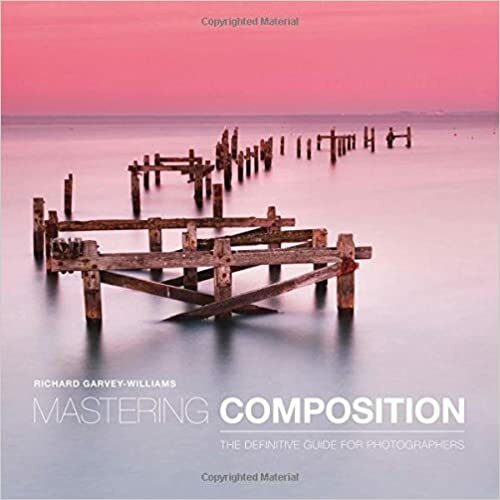 The Rule-of-Thirds compositional guideline suggests that placing your subject on or near one of the power points will help to produce a visually pleasing, spatially interesting photograph. I use this rule a lot in my photography but there are some who believe the Rule-of-Thirds is just another constraining rule. 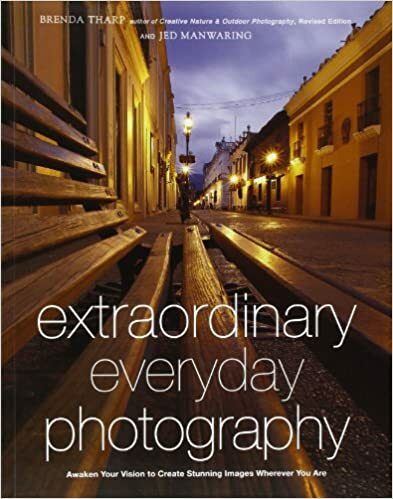 Study some of your favorite photographs and try using it in your own work. I bet you find many points of interest will be situated on or around those power points. 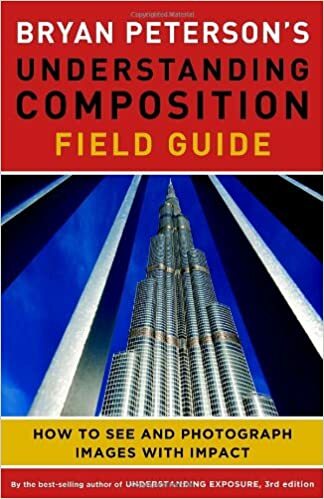 Centering the Subject: One well-known composition guideline is that we not center our subjects unless doing so enhances the subject or benefits the composition. Placing a subject in the center of the frame provides an average view of a subject and robs the scene of interest and aesthetic value. There are many situations, however, when centering your subject is appropriate and necessary. Such instances would include a portrait where the subject is facing the camera, a bird flying directly toward the camera, and most subjects which are appropriate for a vertical format can usually be centered. Extreme Subject Placement: I am a big fan of unusual crops and the extreme placement of a subject in the frame. An example of such an image would be a panoramic with a bird on the far left looking out across the scene. I have dreams of being able to create a shot like that some day. Don't let the Rule-of-Thirds or spacing guidelines dictate all of your compositions. If an unusual composition works, go with it! Additional Objects in the Scene: A thorn in the side of many nature photographers is the inability to eliminate clutter in their image. Because we are dealing with nature, we often have no control over the objects near our subjects. We must learn to deal with these objects in a way that will not distract from our subject, or even better, enhance the subject and composition. When you are dealing with unwanted objects in your viewfinder, there are times when they compete too much for attention and it's best to reconsider making the shot. Other times, all it takes is moving your position until you can find the most uncluttered shot. At no time will I disturb an animal's nest or habitat for the sake of a photograph. I consider this highly unethical behavior as it can have a negative impact on an animal's behavior, rituals and patterns. Color is one of the most powerful forms of nonverbal communication available to photographers. Exploring color is like opening the door to a new domain in the landscape of your photographic journey. It may be foreign to you at first, but understanding and using color will enable you to speak to your audience in a new language: a language of feeling and emotion. Feeling through imagery can be infinitely more powerful than the written or spoken word. Color and Emotional Response: It is widely known among painters that different colors trigger different emotional responses in a person. Although the same is true for photography, there are few photographers who are aware of this fact. In art school we are taught that reds and oranges can cause feelings of excitement, warmth, and power in a viewer. Blues can create a sense of peace, calm and cool, while pastels stir thoughts of innocence and purity. Color has even been responsible for bringing to mind long forgotten memories for some people. It is a wise photographer who understands color and how to use it to extract the desired response from their audience. Hue: A color has three defining characteristics: its hue, value and intensity. The hue of a color is determined by the dominant light wavelengths that are reflected or emitted from an object. Our eyes and brains interpret these lightwaves as color and we call these colors hues. The word hue is often used interchangeably with "color". Value: The value of a color is measured by its lightness or darkness. Think of a value scale as a vertical gradation from black on the bottom to white on the top. Yellow's equivalent value of grey would be high on this scale because yellow is a light color. Indigo blue would be very low on the scale because it is so dark. Intensity: the words intensity and saturation are used interchangeably and refer to the purity or strength of a color. Tones, Tints and Shades: These are all variations of a hue. Tints are created by adding white, shades are created by adding black and a tone is created by adding a middle-tone grey to a color. Gradations: Color gradations are colors that appear to change from one to another with smooth, seamless transitions. An excellent example of a color gradation is a sunset with colors that range from red at the horizon to dark blue directly overhead. Analogous Hues: Analogous colors are similar, but separate, distinguishable colors. For example a meadow scene in spring that has many different kinds of trees and grasses will have many analogous hues of green. Monochromatic Hues: Monochromatic photographs are comprised of various tones, values and intensities of one color or group of closely related colors. Color Harmony: Color harmony is achieved when the colors in a photograph appear visually pleasing together. The best way to learn about color harmony is visually. Art stores carry books that have color charts and wheels, value scales and other aids that are helpful in understanding color and its properties. Complimentary Colors: On a standard color wheel, complimentary colors are opposite one another. For example the complimentary color to orange is blue, for green it's red, and for yellow, it is violet. Neutral Colors: Neutral colors are hues lacking bold color pigment. Flesh tones, greys, black and white are all considered neutrals. Contrasting Colors: Colors in a scene will often affect one another, sometimes positively, and sometimes negatively. Often complimentary colors, such as blue and orange, will compete for attention if placed next to one another. Study a few photographs that have a lot of color in them. Try to see which colors look good together, which ones clash and which ones compete for your attention. Color Continuity: Color continuity is achieved when a dominant color in your scene is distributed throughout the frame, tying it all together. For example, in a mountain lake landscape you may have blue wildflowers in the foreground. Perhaps the blue sky reflected off the lake in the middle ground is the same color as the flowers, which is also the same color of the sky itself at the top of the photo. This would be considered an image with good color continuity. Understanding how a viewer might react to the colors in your photograph can help you choose the right colors for the job. In a simplified example, pretend you are on assignment to photograph the fun and festivities at a local beach on the Fourth of July. If the day turns out to be cloudy, your image will lack warm hues, giving your photographs an overall cool temperature. You may capture all the right shots, but the light in your image will be telling a different story. In the snapdragon image below, the blue and violet hues give the image a very cool feeling. Even the white highlights in the petals could be interpreted as tiny snowflakes by an imaginative soul. The image on the right is glowing with rich reds and oranges. The warmth of the colors might affect a viewer by bringing to memory a time when they felt warm, or any number of other emotional responses. 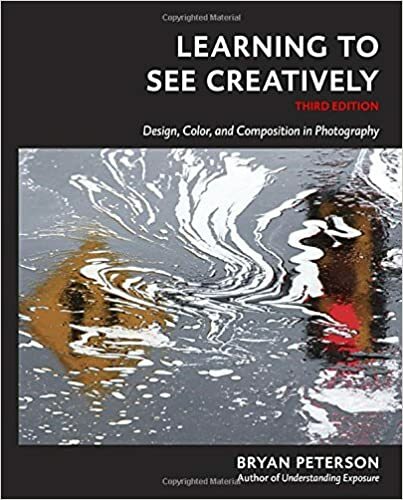 There are hundreds of books about color and entire courses dedicated to the study of color theory. The explanations in this series have been simplified and were chosen because of their relevancy to photography. On a side note, these terms are often used in the same context in fine art painting as well as other visual arts that involve the use of color. 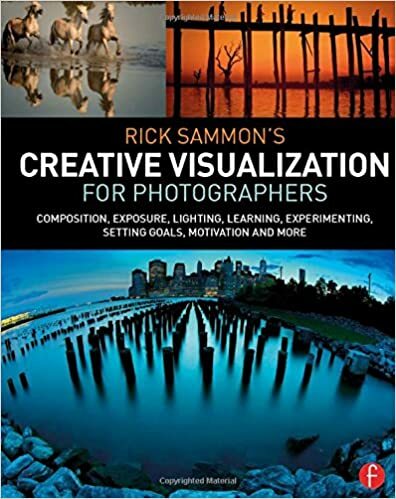 So far we have discussed the most basic elements of building a photograph: using light, vertical and horizontal formats, depth, subject placement, additional objects in the photograph, and color. In the next article we will examine weight and balance, lines, space, and perspective. Until then, happy shooting!